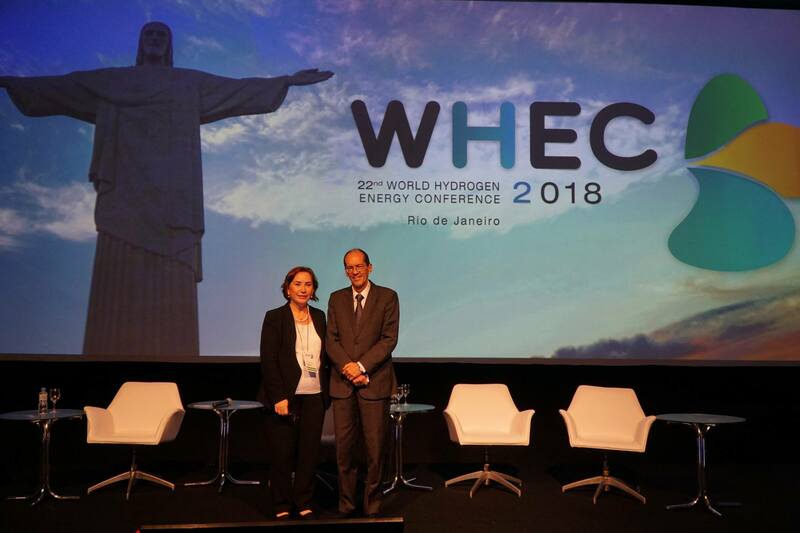 The Association has an official scientific journal, International Journal of Hydrogen Energy, organizes biennial World Hydrogen Energy Conferences - including exhibitions - around the world (the last World Hydrogen Energy Conference took place in Rio de Janerio, Brazil, June 2018; the next one, WHEC 23, will take place in Istanbul, Turkey, July 2020); publishes the proceedings of these conferences as the Hydrogen Progress volumes; and maintains and updates this Internet site. International Journal of Hydrogen Energy is published by Elsevier on behalf of the International Association for Hydrogen Energy, find out more about the journal on the journal homepage www.elsevier.com/locate/he. Hydrogen is considered to be an ideal energy carrier in the foreseeable future. It can be produced from water by using a variety of energy sources, such as solar, nuclear and fossils, and it can be converted into useful energy forms efficiently and without detrimental environmental effects. The only by-product is water or water vapor (if air is used for flame combustion of hydrogen, small amounts of NOx are produced). When solar energy - in its direct and/or indirect forms - is used to produce hydrogen from water, both the primary and secondary forms of energy become renewable and environmentally compatible, resulting with an ideal, clean and permanent energy system - the Solar Hydrogen Energy System. Hydrogen can be used in any application in which fossil fuels are being used today, with sole exception of cases in which carbon is specifically needed. Hydrogen can be used as a fuel in furnaces, internal combustion engines, turbines and jet engines, even more efficiently than fossil fuels, i.e., coal, petroleum and natural gas. Automobiles, buses, trains, ships, submarines, airplanes and rockets can run on hydrogen. Hydrogen can also be converted directly to electricity by the fuel cells, with a variety of applications in transportation and stationary power generation. Metal hydride technologies offer a variety of applications in refrigeration, air conditioning, hydrogen storage and purification. Combustion of hydrogen with oxygen results in pure steam, which has many applications in industrial processes and space heating. Moreover, hydrogen is an important industrial gas and raw material in numerous industries, such as computer, metallurgical, chemical, pharmaceutical, fertilizer and food industries. Debabrata Das and Jhansi L. Varanasi published their new book, "Fundamentals of Biofuel Production Processes" by CRC Press recently. F-Cell HFC 2019 will take place in Vancouver, Canada, between 22 and 23rd of May, 2019. For the event flyer please click on the title. The supply of increasing energy demands a massive exploration of research to develop new and renewable sources. The main aim of special issue is to highlight the recent advances in research and to provide a platform for the designing, synthesis, characterizations and the applications of novel multifunctional nanomaterials in hydrogen energy and related energy. The Renewable Transformation Challenge is awarded every two years to recognize accomplishments by organizations such as private enterprises, NGOs, and research institutions for undertaking projects and programs that help move the world toward an energy system supplied entirely by renewable energy sources, or for conducting the critical analyses that provide meaningful roadmaps for the transformation. 23rd World Hydrogen Energy Conference (WHEC-2020) is going to be held on July 5-9, 2020 in Istanbul, Turkey. Click the title for more information. H2-international is an English-language information service on hydrogen and fuel cells. Via blog, e-journal, and newsletter, the service reports on current developments, especially from across the German-speaking region. The articles written by independent journalists and science professionals are primarily contributions which also appear in the German-language trade publication HZwei. 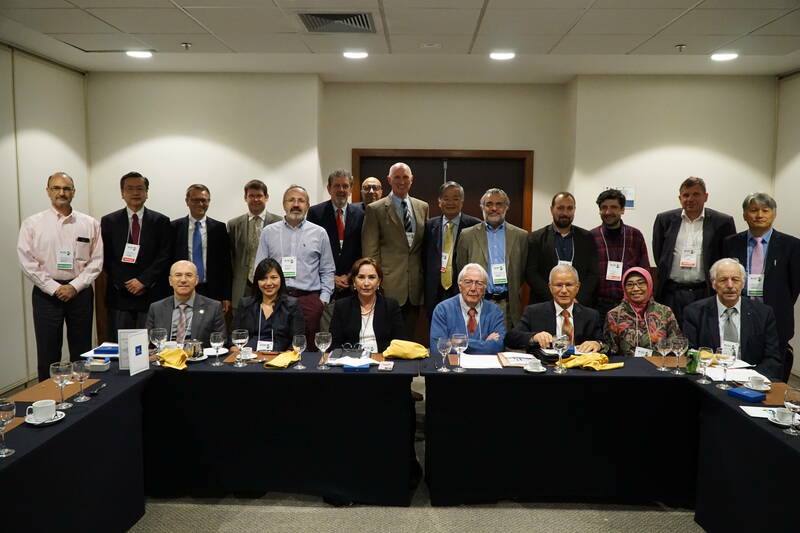 IAHE Board of Directors Meeting took place in Brazil. Brazilian Secretary of Technological and Innovation Development was also present at WHEC 2018.
by D.V. Schur, S. Yu Zaginaichenko, A. Veziroglu, T.N. Veziroglu and others. The periodic system of chemical elements of Mendeleyev is supplemented with data, which allow using it as an encyclopedic reference book. This newly published book is devoted to a theoretical study of phase transformations in metal hydrides having a different crystal structure, as well as to an experimental study of their hydrogen capacity. It's authors are: Z.A. Matysina, S.Yu. Zaginaychenko, D.V. Shchur, A. Veziroglu, T.N. Veziroglu, M.T. Gabdullin, N.F. Javadov, Al. Zolotarenko, An. Zolotarenko. You don't have permission to access /ch.txt on this server.